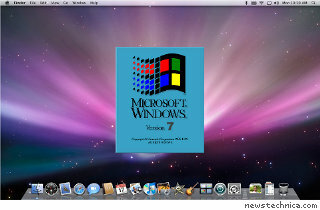 Tentative names included Windows Blackcomb, Windows Vienna, WindOS X, Windex, Windows Steak and Blowjobs Edition!!! (which proved in beta testing to be Tofu and Long Querulous Discussion About Where Our Relationship Is Going Edition) and Windows 2007 2008 2009 2010. WINDOWS SE7EN. Overwhelming greed, lust for power, Mac envy, slothful performance, Aero pride, wrath against Samba, spectacular gluttony. WHAT’S IN THE BOX? Canonical, Inc. shares were up 5% in early trading.